The Volvo S90 shows off several key updates for the new model year. Some may have already thought it was spacious enough, but now it offers significantly more backseat room following an increase of 4.5 inches to its wheelbase length. Along with providing more room for rear passengers to stretch out, the 2018 S90 also includes more standard features this year and a more streamlined options list. 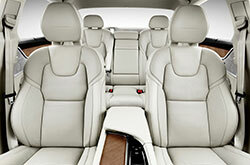 In addition, if you've been wanting an S90 hybrid, Volvo's heard your requests. The lineup is adding an all-new T8 plug-in hybrid with 400 horsepower! Continue our 2018 Volvo S90 review to learn more. What Features Are on the 2018 Volvo S90? Stop by to view the updated 2018 Volvo S90 in Plano, and check out the full lineup, which includes the following trim grades: T5 AWD Momentum, T5 FWD Momentum, T6 AWD Momentum, T8 eAWD Momentum and T8 eAWD Inscription. 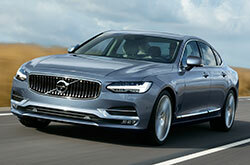 Edmunds.com's 2018 Volvo S90 review says the model offers all the latest features, plus a few other signature Volvo appointments. Some of the most notable standard features and amenities include navigation, Bluetooth phone, an 8-inch touchscreen, leather seats and steering, power retractable auto-dimming outside mirrors and a panoramic roof. 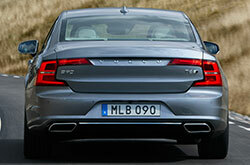 What Are the Horsepower Ratings for the S90? S90 T5 models are equipped with a turbocharged 2.0-liter inline-four that delivers 250 horsepower and 258 pound-feet of torque. If you want more power, many reviews suggest the S90 T6, which is outfitted with a turbocharged and supercharged 2.0-liter four-cylinder that generates 316 hp and 295 torque. As we noted earlier, there's a new gas-electric T8 plug-in hybrid and it delivers a combined power output of 400 hp with the inline-four and an electric motor. An eight-speed automatic transmission is standard across the board. When you test drive a 2018 Volvo S90 in the Dallas area, feel free to try out all available powertrains to see which is best for you. 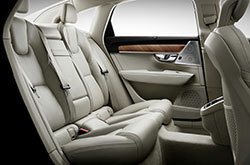 The S90 comes standard with a plethora of safety and driver-assist technologies that provide exceptional security. They include but are not limited to: city safety collision avoidance, rear collision warning, automatic braking after collision, lane keeping aid and blind spot detection with rear cross-traffic alert. The 2018 Volvo S90 is also expected to be awarded an IIHS Top Safety Pick title just as the 2017 model was. Why Choose the Volvo S90? If you've been out browsing for new vehicles near Dallas like the 2018 Cadillac CTS, Audi A6 and the Mercedes-Benz E-class, then you should not overlook the opportunity to take a look at the 2018 Volvo S90. You could find that it completely complements your lifestyle needs, with its excellent incar technologies and other exemplary qualities. 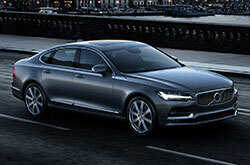 See if the 2018 Volvo S90 is a fit for your particular needs, then browse our site to find the latest information on exclusive offers. When you visit our Volvo dealership, you'll find financial incentives on a large group of new and Carfax 1-Owner cars, including offers for the hot-ticket Volvo S90. 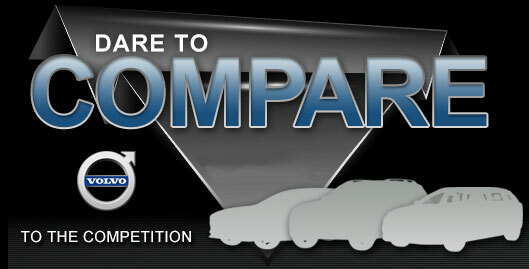 Our review is here to aid you with making a self-assured choice when buying a car, and we hope it includes the knowledge you need for this. Stop by to enjoy a test drive at Crest Volvo Cars, where you can experience the Volvo S90 personally. Do you want to get a peek at its cabin amenities preceding your visit? See the enclosed video walk-around.